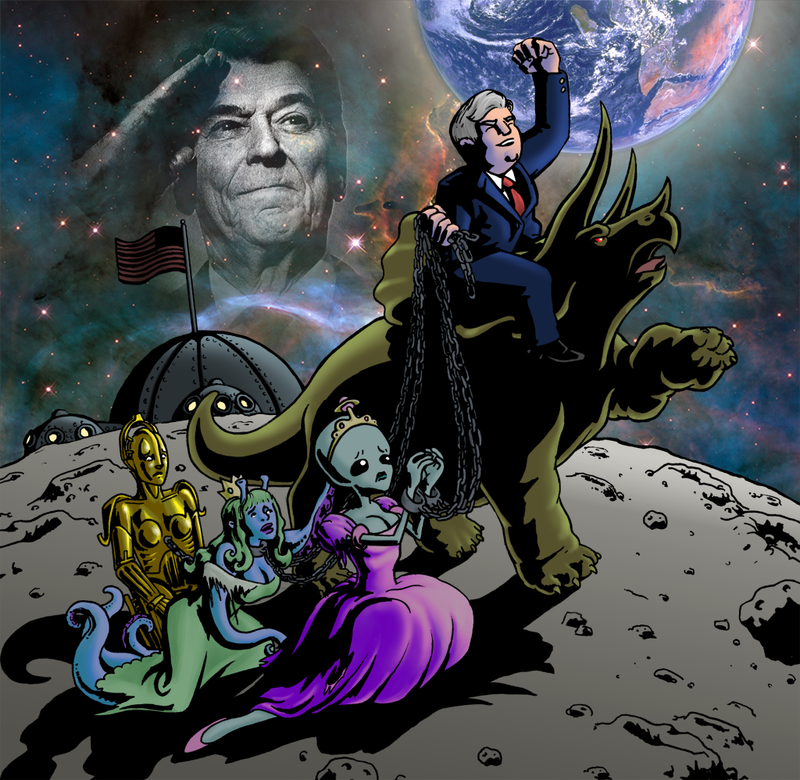 My latest drawing is featured in Newt Gingrich's new blog post, The Newt Gingrich Lunar Plan for American Prosperity, on jacobmercy.com. I offered Mr. Gingrich the below version, but he decided to go with an earlier, partially-colored draft. His reasons are his own.